Because of these numerous factors, chiropractors are left with no choice but to evaluate and manage each case with a unique, individualized method. The first stage of the chiropractic encounter is history and examination. During this stage, your chiropractic doctor will not just ask many questions but also will carry out a number of tests to give him/her hints to understand the mechanism of injury, identify the injured primary tissues, and determine the best treatment techniques to use. Chiropractic manipulation is one of the commonest approaches used to treat joint dysfunction. In other words, it is frequently used to restore normal movement to the joints, which are negatively affected by the whiplash injury. Terms like subluxation, stuck, and fixed, among others, are always applied when describing altered joint function or position. Typically, the manipulation, which is also referred to as adjustment, is appropriately applied within the motion’s normal range of the joint using a fast (or high velocity) movement via a short distance in the direction attempting to correct the joint dysfunction. The procedure is quick and of short distance, making patients to often state that it (the procedure) feels great. In fact, a chiropractic doctor will rather use a slow, mobilizing movement if the patient’s pre-adjustment position is uncomfortable or hurts. Exercise strategies are essential; thus, are typically applied ASAP. Although the type of exercise is case specific (again), exercises in general are originally prescribed in a way that restores movement with as minimal discomfort as possible. Following the objective to increase range of motion, restoring sensory motor-activity to the muscles and strengthening the injured region using stabilization exercises become the key focus as far as the management of whiplash patient is concerned. Directions that reduce radiating pain are emphasized in the exercises when intervertebral disks are altered or deranged. 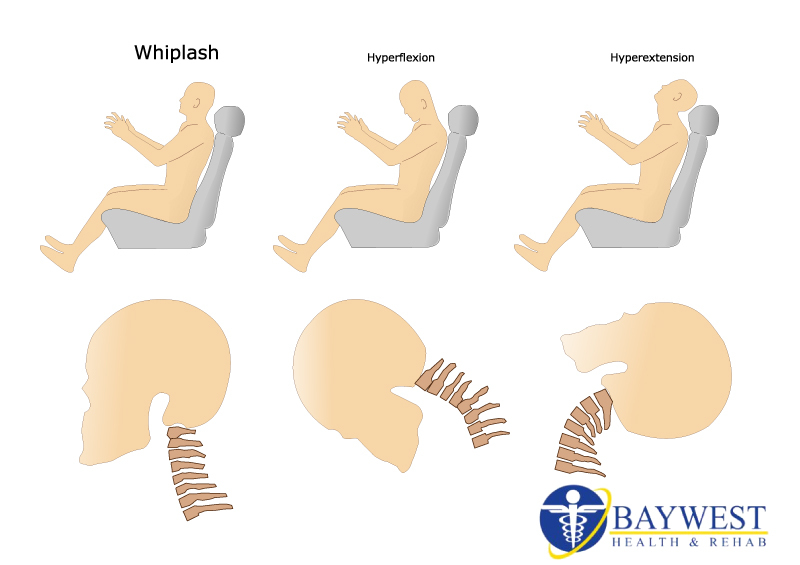 After cautious in-office training, the whiplash patient is advised to carry out training at home, and this should be done several times a day to make the spine stable and to re-establish movement and motor control. The condition can be irritated regularly and this can interfere with the healing process. Thus, ergonomic and everyday lifestyle modifications are often addressed to avoid this possibility. If a patient is emphasizing on the injured area while at work, job modifications can make or break the management program’s success.